The Agricultural Act of 2014, also known as the 2014 Farm Bill, was signed into law on February 7, 2014. 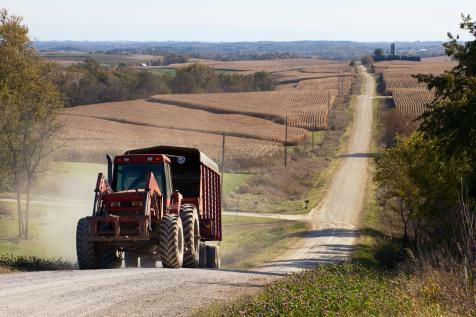 The Act repeals certain programs, continues some programs with modifications, and authorizes several new programs administered by the Farm Service Agency (FSA). Most of these programs are authorized and funded through 2018. Beginning with the 2014 crop year, producers whose average adjusted gross income (AGI) exceeds $900,000 are not eligible to receive payments or benefits from most programs administered by FSA and the Natural Resources Conservation Service (NRCS). Previous AGI provisions distinguishing between farm and non-farm AGI are no longer utilized. Average AGI for crop year 2014, for example, will be based on a producer’s AGI from 2010, 2011 and 2012. Note: The total amount of payments received, directly and indirectly, by a person or legal entity (except joint ventures or general partnerships) for Price Loss Coverage (PLC) Agricultural Risk Coverage (ARC), marketing loan gains, and loan deficiency payments (other than for peanuts), may not exceed $125,000 per crop year. A person or legal entity that receives payments for peanuts has a separate $125,000 payment limitation ($250,000 for married persons). Cotton transition payments are limited to $40,000 per year. For the livestock disaster programs, a total $125,000 annual limitation applies for payments under the Livestock Indemnity Program, the Livestock Forage Program, and the Emergency Assistance for Livestock, Honey Bees and Farm-Raised Fish program. A separate $125,000 annual limitation applies to payments underthe Tree Assistance Program. There are distinctions in how FSA computes AGI depending on the type of entity that a producer utilizes. For a C corporation, FSA examines line 30 (taxable income) plus line 19 (charitable contributions). 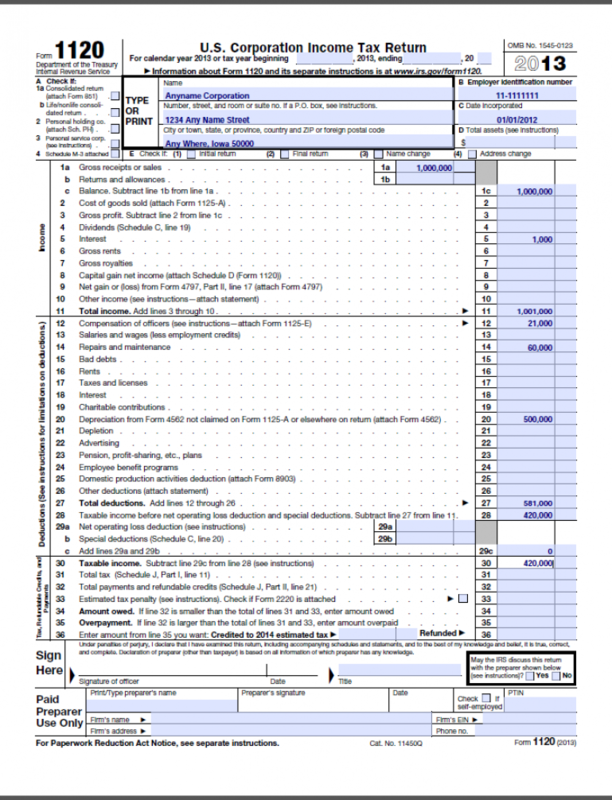 However, for S corporations, FSA only looks at line 21 of IRS Form 1120S (ordinary business income or loss). FSA 4-PL Amendment 15, Feb. 12, 2014. For estates or trusts, FSA uses line 22 (taxable income) plus line 13 (charitable deductions) of IRS Form 1041. For limited liability companies (LLCs), limited liability partnerships (LLPs), limited partnerships (LPs) or similar entities, FSA looks to IRS Form 1065, line 22 (total income from trade or business) plus line 10 (guaranteed payments to partners). 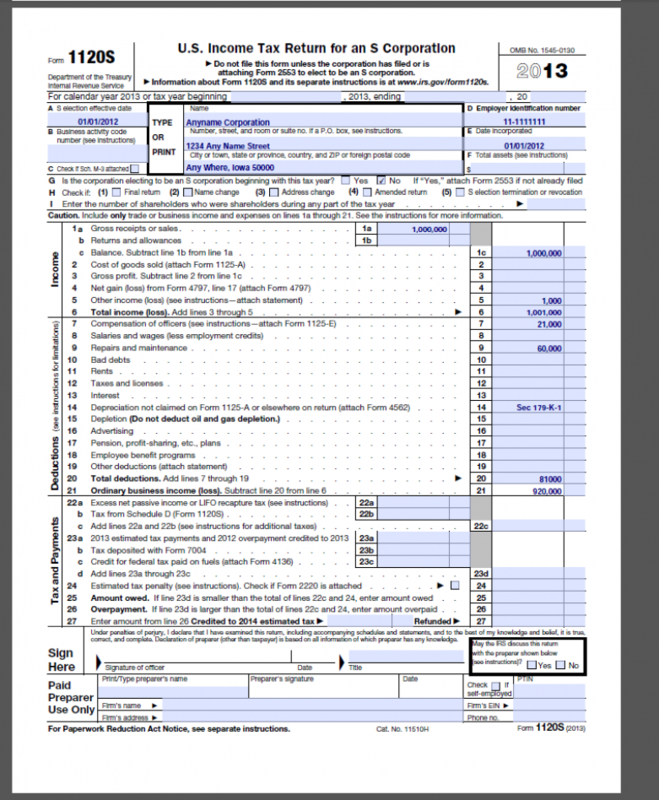 For individuals, the pertinent Form is the 1040, line 37 (AGI), and for tax-exempt entities it’s IRS Form 990-T, line 34 (unrelated business taxable income) less income that the CCC determined to be from non-commercial activity. Id. As applied, the FSA’s computation of AGI is effectively different across entity types. For example, AGI reported by an S corporation (ordinary business income reported on line 21 of Form 1120-S) does not incorporate the §179 deduction due to special allocation rules of Treas. Reg. §1.179-1(f)(2) which require the deduction to be separately stated on the 1120-S Form K-1 and passed through to the shareholders. However, the I.R.C. §179 deduction is handled somewhat differently on an 1120 C-Corporation return. There, the I.R.C § 179 deduction is allowed to reduce income. This produces a lower AGI for a C corporation (as well as an individual) as compared to an S corporation or an LLC that is taxed as a partnership even though, in an accounting sense, their income is identical. Thus, while both entities are corporations, due to the fact that the S Corporation rules require the I.R.C. §179 deduction to be separately stated on Form 1120-S K-1 and passed through to the shareholder, the S corporation is placed at a disadvantage. As a result, the two entities can potentially be treated dissimilarly under the payment limitation rules. Note: The FSA requires written consent from the individual or legal entity in order for FSA to average AGI based on the individual’s or entity’s IRS data. Such annual AGI certification and written consent are accomplished by completion of Form CCC-931, Average Adjusted Gross Income (AGI) Certification and Consent to Disclosure of Tax Information. Under the FSA’s current AGI computation rules, the S-Corporation is at a disadvantage because of the failure to apply the separately-stated I.R.C. §179 deduction in calculating the S Corporation’s three-year average. This is especially true if the company has years where the purchase of assets reduced their tax liability, yet had a negative impact on whether they qualified for any of the 2014 Farm Bill programs. While the I.R.C. §179 deduction is presently set at $25,000 (maximum) for 2014, it is anticipated that legislation will be enacted that increases the maximum amount to somewhere between $250,000 and $500,000. That will make the FSA’s AGI computation rule only that much more out of place, and cause relatively more C corporations and individuals to be eligible for program payments as compared to S corporations and LLCs taxed as partnerships. The following forms illustrate the problem. Illustrated is both a C corporation and an S corporation with identical gross receipts/sales on line 1 of either the Form 1120 or Form 1120S. Both corporations claimed the maximum I.R.C. §179 deduction in 2013. Note that the depreciation deduction of $500,000 shows up on line 20 of Form 1120, which impacts the taxable income for the corporation on line 30 – the line that FSA examines to determine eligibility for program payments. For the C corporation, the depreciation deduction has the effect of reducing the corporation’s taxable income below the $900,000 threshold. Conversely, the depreciation deduction does not show up on Form 1120S with the result that the S corporation exceeds the $900,000 threshold.